dance.net - Brown/tan ghillies (10249512) - Read article: Ballet, Jazz, Modern, Hip Hop, Tap, Irish, Disco, Twirling, Cheer: Photos, Chat, Games, Jobs, Events! Edited by FloraMacDonald (218277) on 2018-07-04 19:55:59 Autocorrect is the worst. Lightly used brown/tan ghillies, size 5 (unsure of manufacturer). 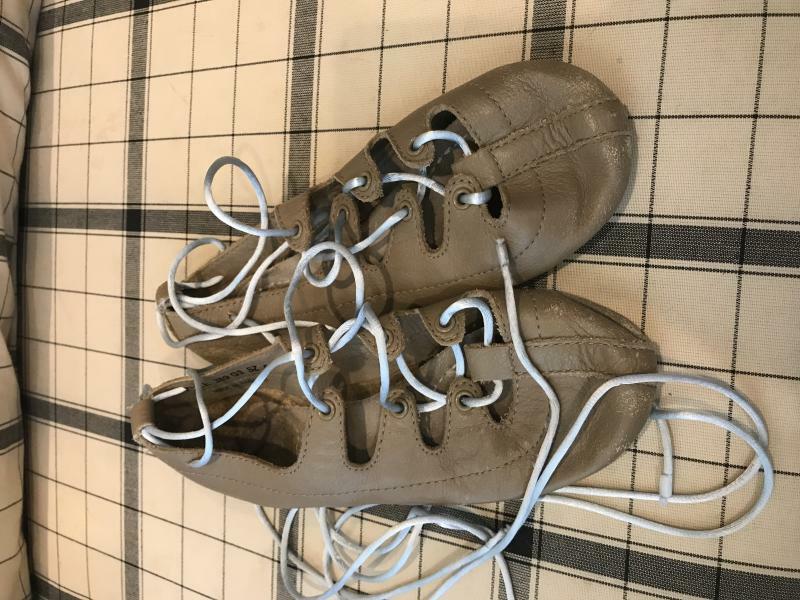 My daughter wore these a handful of times for a choreography piece. Approximate foot length would be 8.25 inches.